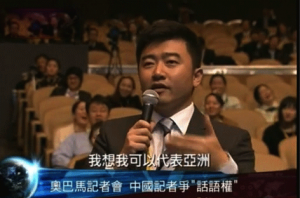 Nickname for Rui Chenggang, former CCTV anchor, because of a controversial comment he made at the 2010 G20 summit. Rui set the Chinese blogosphere abuzz. Some saw in his comments China’s increasing regional assertiveness, while others heard another example of how the Chinese government presumes to represent the Chinese people without their consent. In July 2014, Rui was detained along with several other staff at CCTV’s financial channel on suspicion of graft. The sweep was so sudden that his desk was left vacant during the day’s edition of his show. His case remained silent until April 2016, when the China Business Journal reported that Rui will soon stand trial. No further developments have been reported since. 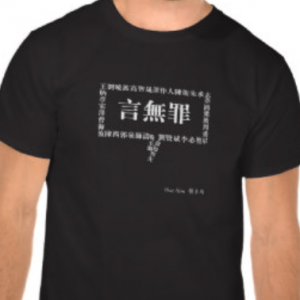 Can’t get enough of subversive Chinese netspeak? Check out “Decoding the Chinese Internet: A Glossary of Political Slang,” our ebook of dozens of new terms and classic catchphrases, presented in a new, image-rich format. Available for pay-what-you-want (including nothing). 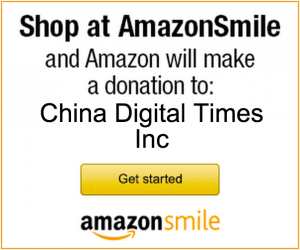 All proceeds support CDT.